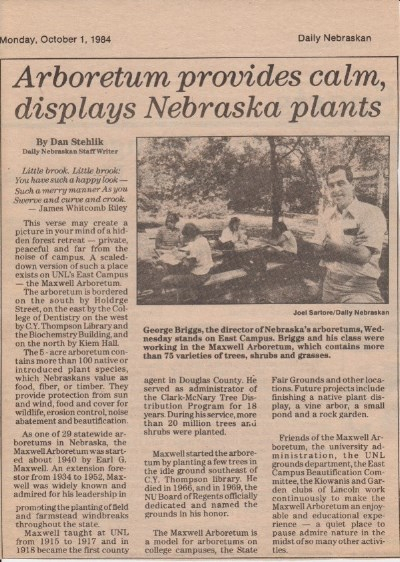 In 1984, Maxwell Arboretum was one of 29 statewide arboretums in Nebraska. Today there are over 100 across the state. The Nebraska Statewide Arboretum was founded in 1978 as a public/private partnership between the University of Nebraska-Lincoln Institute of Agriculture and Natural Resources and the Nebraska Statewide Arboretum, a non-profit organization, to create arboretums across the state where a variety of trees would be planted, tested and enjoyed. It was apparent to the founders of NSA that an arboretum in Brownville would have little relevance to a person in Alliance, and the result was the groundbreaking concept of a statewide arboretum. They would take the arboretum to the people, dispersed in communities across the state, making it both accessible and relevant. Surprisingly, the word “tree” does not appear at all in our articles of incorporation. 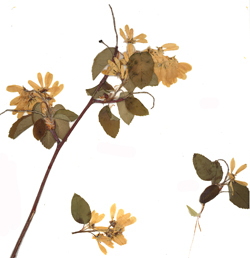 Instead the founders used the much more expansive word “flora,” which encompasses all kinds of plants—appropriate because, whether in the wild or in cultivation, plants grow best in the context of other plants and plant communities—a foreshadowing of NSA’s efforts to create community both for plantings and for people. What began as an effort of a small group of plant enthusiasts has evolved into a coalition of community builders, environmental stewards and others who love the land, whether it be the pristine prairies of the SandHills, or a schoolyard in a challenging urban neighborhood. NSA’s efforts have continually adapted to needs as they arose: making native and regionally-adapted plants more readily available; addressing the lack of outreach on sustainable landscape design and management; and making resources available for public landscape projects at the local level.